So you’re getting ready for class – you’re dressed, make-up done, and your hair is tossed in a carefully crafted messy bun, but somehow you know your look just is not complete. You need to accessorize! If you’re rocking leggings and boots or jeans and a sweater, there is a basic accessory you can add to any outfit: earrings. Earrings are the best way to highlight your face and add finesse to any outfit. If you’re just getting started on your accessory game, or if you’re an experienced jewelry connoisseur these are some basic pairs of earrings that every girl should have in their jewelry collection. A pair of plain cubic zirconia (or diamonds if you’re feeling luxurious) studs can dress up any outfit. These are guaranteed to match any outfit and add that extra sparkle that you’ve been looking for. They’re easy to find, relatively cheap and come in a variety of sizes. If you’re going for a classy look without over doing it, pearl studs are your answer. Again, with these you can easily find a pair of costume jewelry pearls in many sizes or maybe break out that pair you’ve forgotten about since Christmas. Rose gold has made a comeback (thank you Michael Kors watches) and it’s made its way into the earring circuit. I’ve found rose gold studs and cubic zirconia set into rose gold studs at many stores. Rose gold is a great way to get trendy and match your earrings to your other accessories. Opinions on hoops go back and forth. Some people aren’t into wearing huge hoops or feel like they can’t pull them off, but don’t let this stop you! A lot of stores will sell variety packs of hoops made with sterling silver (so they’re safe for those with sensitive ears) in multiple colors. I have hoops in the basic gold, silver and metallic black. These hoops are great for adding a wild touch to your going out ensemble and with all the basic metals covered, you’ll have a pair for every outfit. Now it’s time to go big or go home. Don’t be afraid to wear a large dangling pair of chandelier earrings. The popularity of costume jewelry makes this an easy trend to jump into. You can find chandelier earrings in silver and gold or go bold with bright colors. Earrings definitely become an addiction and my collection of chandelier earrings grows every time I walk into a store downtown. 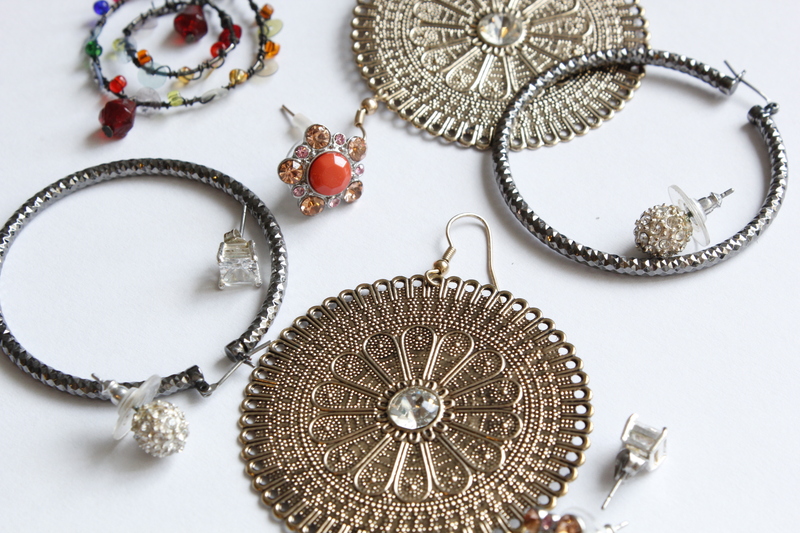 Buy a pair that mixes your favorite color with silver or gold, or find a pair adorned with colored beads. Next time you’re staring at yourself in the mirror wondering what may be missing check your earlobes! Once you get in the habit of wearing earrings it’s tough to imagine a day without this basic accessory. Some of you may already have internships secured for the summer or co-ops lined up for the fall, but for those of you out there still looking, Valley has some interviewing tips for you.